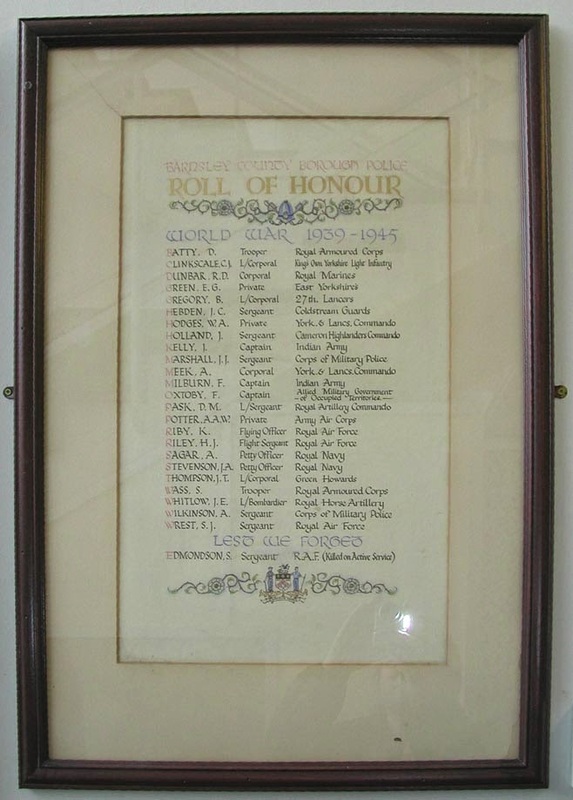 The Roll of Honour is situated behind the security doors in Barnsley Police Station, Churchfields, Barnsley. It is not in a public area and we wish to thank Barnsley District Commander, Chief Superintendent Andy Brooke for allowing us to view and take photographs. Where further information on a name has been researched by our volunteers or has been found on an external site it will be linked here (look for the names in blue).